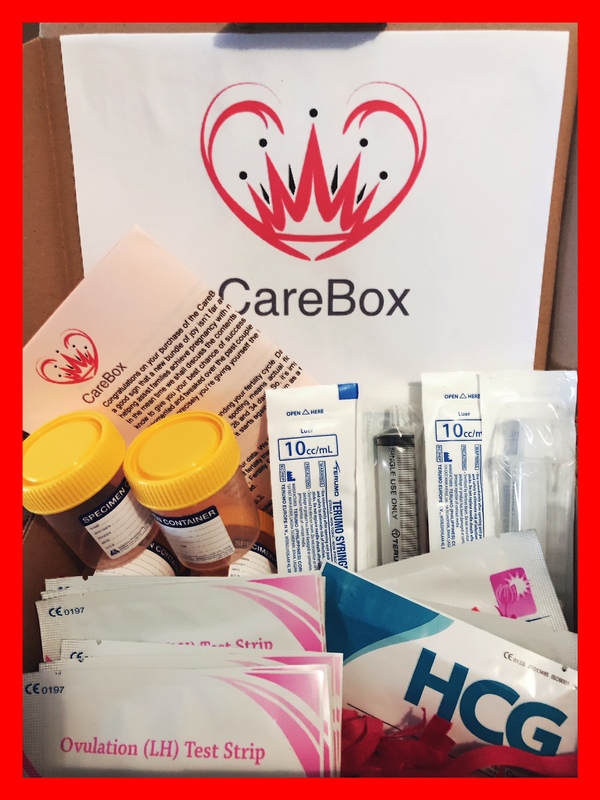 CareBox has teamed up with Sperm Donation Australia's very own Adam Hooper. Adam is a pioneer donor with many years experience and together we have developed a Do It Yourself home kit with step by step instructions that will help you achieve pregnancy sooner rather than later. The luxury of having a monthly kit sent to your residence ensures ultimate privacy and convenience. The other option is the Pre-planning phase kit includes more ovulation test strips with instructions so you know how to pin point your ovulation date (your apps can be wrong) for when you eventually do start trying. It's best to prepare at least a couple of months in advance timing is everything with artificial insemination as the instructions will explain. Chose the subscription package you want to sign up to. Fill in your details and where you want your box to be delivered. Receive your box each month discretely. Everything you need monthly right to your door! Our convenient monthly Ai pack is delivered discreetly to your door each month. Package is sent no more than 5 days after ordering so ensure you leave enough time to order. A box will arrive around the same date each month until you cancel and canceling is as easy as a click of a button. Sperm Donation USA is North America's go-to place to find a suitable donor. Agoda, Wotif and Lastminute where you will find all the best deals for booking accommodation online in preparation for arranging your sperm donations. To find out more information on tips and reasons why to choose a hotel as your preferred location for insemination click here. Vitamins, supplements and smoothie ingredients are essential to help with the goal of falling pregnant. Iherb.com is the largest online warehouse, therefore can provide quick dispatch times, and be more affordable than purchasing from your local health store. We have compiled our own list of fertility products that will help assist as referred to our members by their own health specialists, we give you all that information for free, compared to what would normally cost hundreds for a consultation. Click here to read more and see products that may suit your situation. Trak Fertility is a do it yourself sperm analyzation test that can be done in the comfort of your own home is your donor too lazy to get a checkup? Now you can do it yourself to ensure you don't waste countless cycles if he happens to have some fertility issues. Click here for more information on the product.